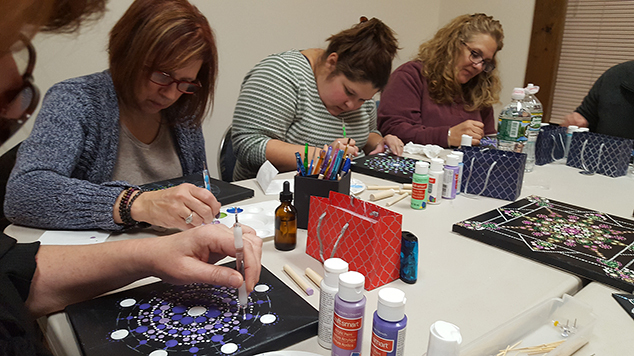 Participants enjoyed themselves at a recent Dot Mandala Painting Class held at The Andover Hub and taught by local artist Tracy Merriman of Breathnach Art in Andover. Each participant took home her own beautiful mandala on canvas and a set of dotting tools. Interested residents should keep an eye out for more of Tracy’s fun and creative classes to be taught at The Hub in the coming months. To be kept posted on events at The Hub, email AndoverCommunitySpace@nullgmail.com or follow The Andover Hub’s Facebook page.